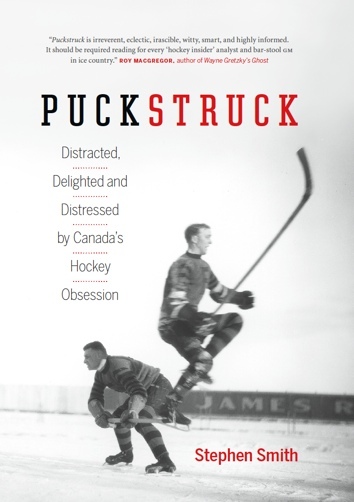 In the months leading up to D-Day, preparing for the battle the would sweep the enemy from northwestern Europe, Canadian troops did what Canadians do: they played hockey. This was 1944, end of February. 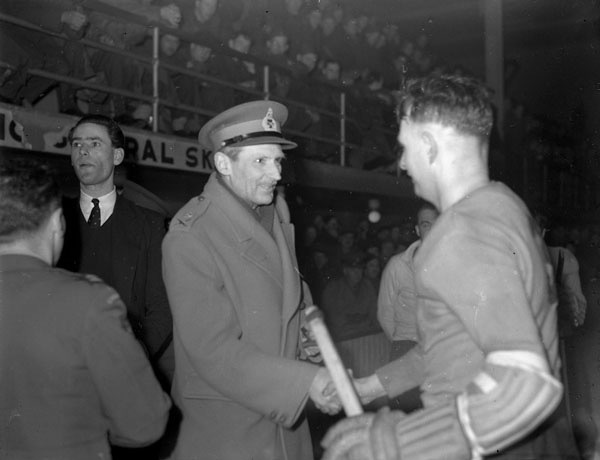 The troops of the 3rd Canadian Division and supporting units were, as the security-conscious datelines read on the dispatches that fed the newspapers back home, “Somewhere In England.” On the specific ice of the Sports Stadium at Brighton, the Canadian Army Overseas championships got underway with a set of brassy special guests in the stands: joining Lieutenant-General Kenneth Stuart, the acting commander of the First Canadian Army, was the man in charge of all British and Commonwealth forces for the upcoming invasion, General Sir Bernard Montgomery. The opening game of the best-of-three finals was played on a Tuesday night, pitting the Cameron Highlanders against B Group, Canadian Reinforcement Unit. They didn’t have a name to romance the imagination, maybe, but the CRU team dominated on the ice, posting an 8-4 victory. Leading the way was the man a Canadian Press correspondent called “a fast-skating private with a deceptive shift:” H.W. Proulx scored three times and collected two assists. He had some big-name help in a trio of former NHLers. Captain Gordie Poirier, 29, and Corporal Ken Reardon, 22, had both played for the Montreal Canadiens, while 24-year-old Lieutenant Gordie Bruce was a Boston Bruins alumnus. These three had only been in England for a few weeks, though they were, all three, veterans of military hockey success. They’d helped the mighty Ottawa Commandos to an Allan Cup championship in 1943 on a team that had counted goaltender Sugar Jim Henry along with NHLers Bingo Kampman, Neil and Mac Colville, Polly Drouin, Alex Shibicky, and Joe Cooper. Featuring for the disappointed Camerons was Terry Reardon, 24, Ken’s elder brother. 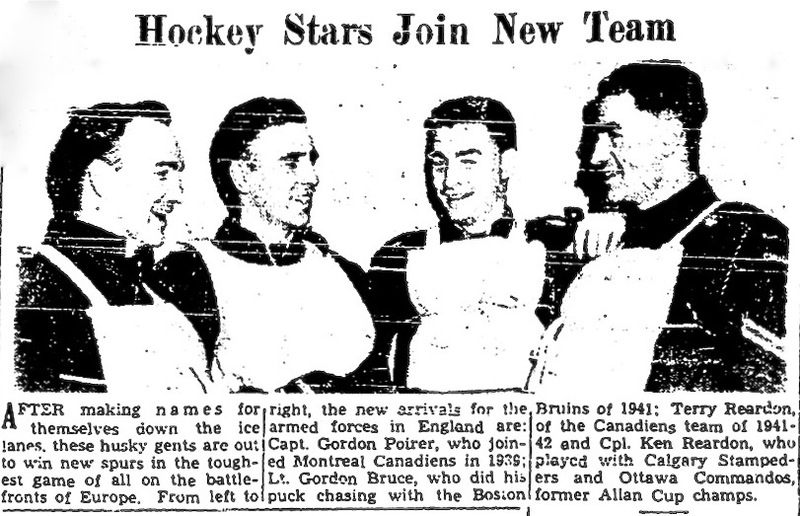 He’d played in the NHL, too, before he’d enlisted, for Boston and then Montreal. In the effort to stymie the CRU he’s said to have stayed on the ice for the full 60 minutes — two nights running. This gave him time to fight with his brother — “a real go,” according to one witness, who reported that Ken gave Terry a black eye. That’s what he was there for, of course, rallying the troops, boosting morale. Ahead of the invasion, he was in the middle of a four-day visit to Canadian troops under his command. He’d commanded Canadian troops in ’43 in Sicily and before that, too, in England. “I am always delighted to have Canadians around,” he’d say later. He’d even played a bit of hockey, in his time — well, field hockey. Ross Munro of the Canadian Press went along with him this time and sent word back to Canada of how, “on a dozen village greens,” he “met and talked to thousands of Canadian invasion troops” in a get-acquainted tour. In a special train with Royal priority, the commander of the British group of armies for the Western European invasion sped from one second-front camp area to another and several times a day he spoke to groups of several thousand Canadians. he told them he wanted to see them and wanted them to see him — that they were going to fight together and should get to know each other. The talk was simple, clear and sprinkled with humor and joshing. We are preparing to take part in the biggest tug-of-war the world has ever seen, and if anyone should let go of the rope, then we lose the match. Any idea if all these players made it through the war? Yes, NHLers mentioned did all make it through … though Terry Reardon was wounded a few months after these games. Have a post coming about that, and his return to the NHL.